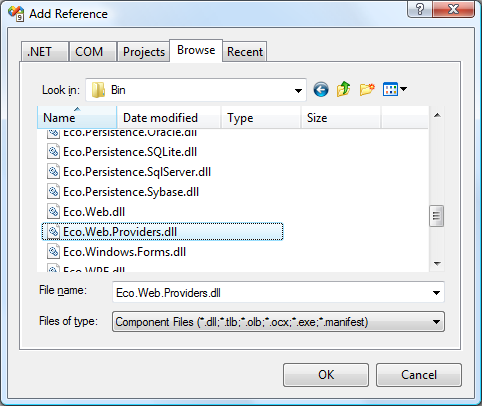 ECO makes it easy to define models. 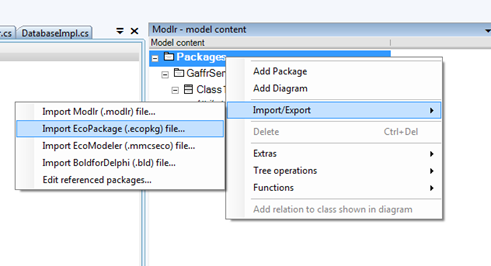 To reuse a model you can simply import a ecopkg. 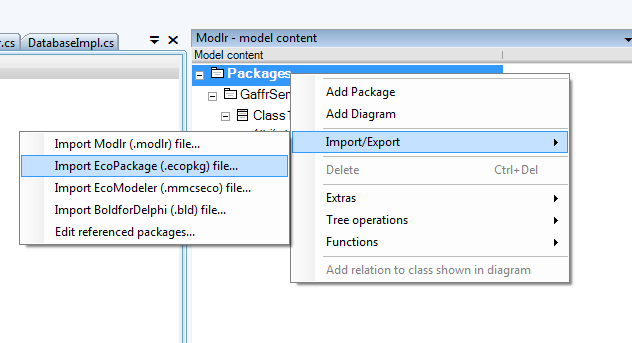 This will make the package part of your model and you can edit the contents of the package. Code generation will also create new code and empty stubs for code implemented operations. 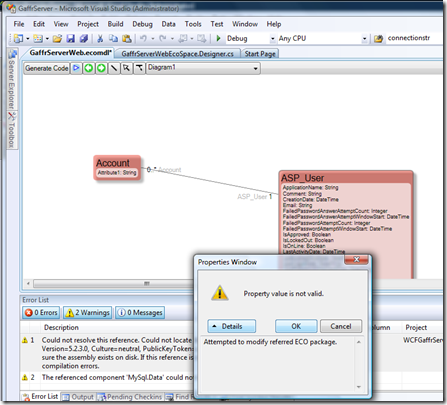 Normally you want to reuse the whole model assembly that may contain code implemented operations, maybe code derived attributes and relations and so on. In this post I choose the EcoAspProvider.ecopkg that comes with the ECO install. 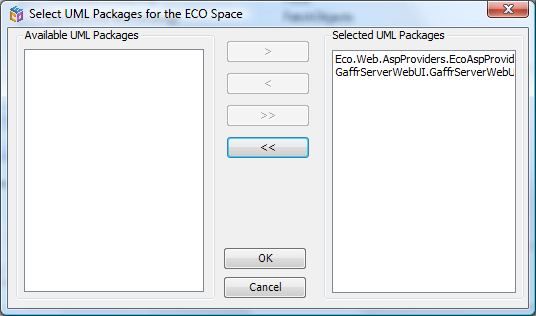 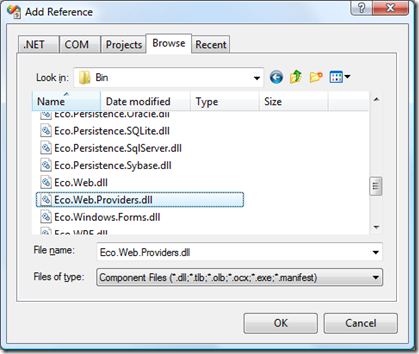 This package implements the membership functions for ASP.NET as eco objects. 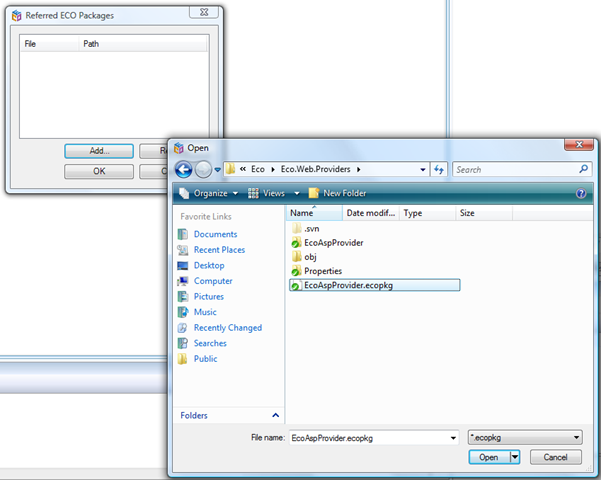 When referencing a package like this, the classes in the package are made read only. 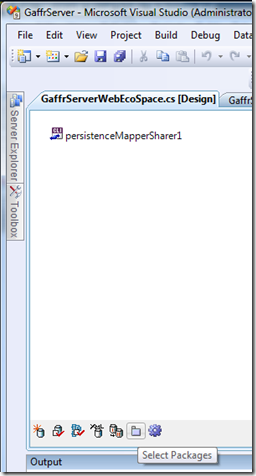 You can still draw associations to and from the classes in referenced packages as long as the association end is not embedded in any read only end. 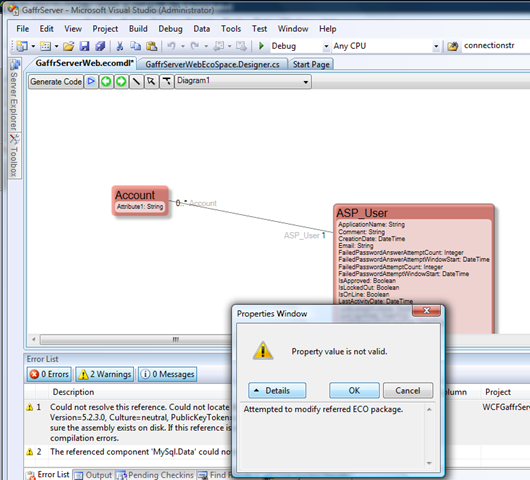 In other words: you can point out read only classes, but you cannot make a read only class point out anything new. 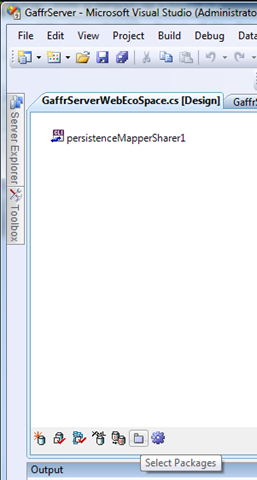 Give this some thought and you will probably find it very intuitive; the external, referenced, definition cannot be changed in this context.